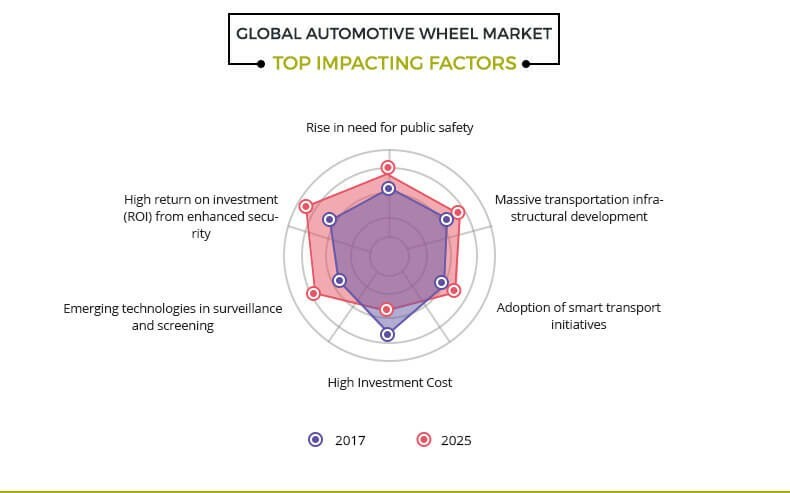 The global automotive wheel market was valued at $30,011.3 million in 2017, and is projected to reach $47,355.3 million by 2025, registering a CAGR of 5.7% from 2018 to 2025. Asia-Pacific is the highest contributor to the global market, registering a CAGR of 6.0% during the forecast period. Wheel is an essential part of a motor vehicle, whose demand is directly connected to the automotive industry. Wheels should be strong enough to bear the weight of a vehicle and withstand forces caused by operation. The automotive wheel is a component that rotates and transmits the drive from the axle to the road. It also provides a means to affix the tires. The automotive wheel comprises a rim, spoke, and hub. Alloy wheels are becoming popular due to their aesthetic appeal. They are light weight and dissipate heat from tires and brakes more effectively as compared to steel wheels. Moreover, increase in capital investment and R&D spending by OEMs, particularly on passenger cars boosts the market growth. The automotive wheel market is powered by shifting trend toward light weighted aesthetically appealing cars and has witnessed considerable growth in the developed as well as developing regions. Automotive giants are increasingly focusing on manufacturing light weight vehicles in response to growth in concern for environmental pollution. Increase in vehicle production and ongoing trend of weight reduction in vehicles drive the growth of the automotive wheel market. Necessity for lightweight wheels to reduce the vehicle weight and enhance fuel efficiency propel the automotive wheel market. Technological advancement and product innovations in material, design, and aerodynamics have further enhanced the industry growth. In addition, increase in consumer spending on vehicle along with growth in population further enhances the market growth. However, volatility in raw material prices hinders the market growth. In addition, lack of standardization in the manufacturing processes of automotive wheel is expected to restrict the market. 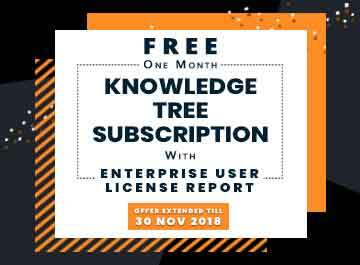 Furthermore, increase in adoption of carbon fiber in the automotive industry and surge in investment on wheel design for better aerodynamics offer lucrative opportunities for the automotive wheel market. The major players operating in the global automotive wheel market are Iochpe-Maxion, CITIC Dicastal Wheel Manufacturing, Hitachi Metals, Steel Strips Wheels, American Eagle Wheels, United Wheels Group, CLN Group, Borbet, Topy Industries Limited, and Accuride Corporation. The automotive wheel market is segmented based on material type, vehicle type, end user, and region. Alloy, steel, and carbon fiber are studied under the material segment. Based on the vehicle type, the market is divided into passenger car, light commercial vehicle, and heavy commercial vehicle. Based on end user, the market is classified into original equipment manufacturer (OEM) and aftermarket. Based on region, the market is analyzed across North America, Europe, Asia-Pacific, and LAMEA. 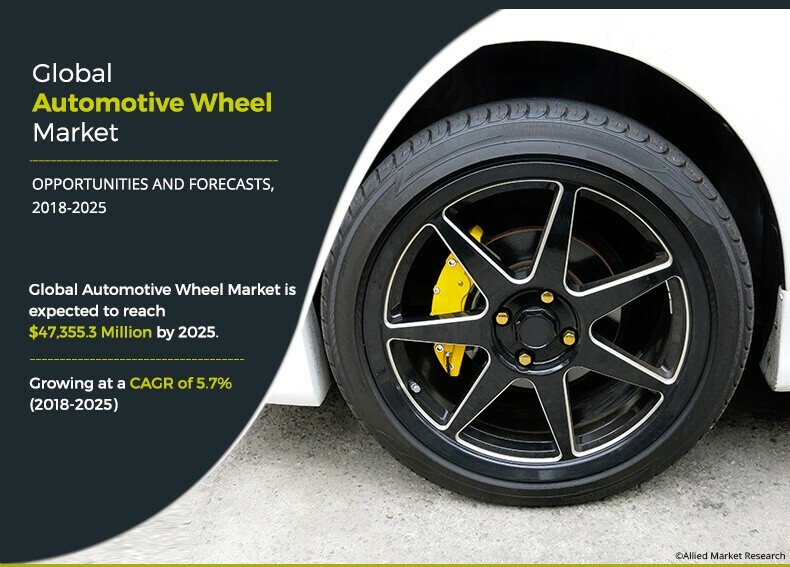 Increase in vehicle production, rise in trends toward weight reduction, technological advancements, and volatility in raw material prices are the significant factors that affect the growth of the global automotive wheel market. These factors are anticipated to either drive or hamper the market growth. The automotive market is on to the reach the 100 million units milestone in 2019. Original equipment manufacturers in the developing regions such as China, India, and Japan adapt to the changes in regional and segment patterns of supply and demand, with respect to their production and supply base footprints, supply chains, and product portfolio. Factors such as rise in urbanization along with increase in population boost the demand for vehicles among consumers. For Instance, North America is the home for largest vehicle producers in the world, including General Motors and Ford, which account for 25% of the global vehicle production. There is an increase in the volatility in raw material prices for tire, wheels, and rubber goods. The demand for various materials used in automotive wheel manufacturing have registered a considerable growth in the years. The supply of raw materials that make up the automotive component such as aluminum, steel, magnesium and others, keeps fluctuating. The excessive usage of the raw materials used in the automotive wheel manufacturing lead to its shrinkage. For instance, the fluctuating prices of the raw materials in the EV battery manufacturing hamper the growth of the market. Weight of automotive increases the fuel consumption capacity of the vehicle. It also hinders its speed capacity. These factors in turn hamper the growth of the automotive industry. Steel was first substituted by aluminum, but OEM are now adopting carbon fiber-reinforced plastics (CFRP) technologies for automotive equipment manufacturing, since these materials offer further weight reduction with higher specific stiffness. Many leading automotive manufacturers, such as BMW and Mercedes, are planning or have already started to scale-up their production of fuel-efficient cars through weight reduction by using carbon fibers. For instance, Mitsubishi Chemical Holdings, through its subsidiary Mitsubishi Rayon's US unit, said it would acquire a carbon fiber plant SGL Carbon Fibers LLC (SCF) in the U.S. The acquisition of SCF, currently run by Germany's SGL Group, will add 1,000 tons of annual output capacity and will help the company address the rise in demand for the material. The overall market potential is determined to understand the lucrative trends to gain a stronger foothold in the automotive wheel industry. The report includes information related to key drivers, restraints, and opportunities with a detailed impact analysis. The current market is quantitatively analyzed from 2017 to 2025 to highlight the financial competency of the global automotive wheel market. Porter’s Five Forces analysis illustrates the potency of the buyers and suppliers in this global market. 8.2. CITIC DICASTAL WHEEL MANUFACTURING. The automotive wheel market is powered by shifting trend toward light weight aesthetically appealing cars and has witnessed considerable growth in the developed and the developing regions. Automotive giants are highly focused on the production of light weight vehicles in response to growing concerns of environmental pollution. For instance, the Government of China views its automotive industry, including the auto parts sector, as one of the country’s pillar industries. China continues to be the world’s largest vehicle market with sales of over 28 million units in 2016, a year-on-year growth of 9% from 2015. The Chinese Central Government expects that China’s automobile output will reach 30 million units by 2020 and 35 million by 2025. Positive government support in framing new standards and safety regulations regarding manufacturing and implementation of these components propel the industry growth. Increase in vehicle production and rise in trends of weight reduction in vehicles drive the growth of the automotive wheel market. Necessity for lightweight wheels to reduce the vehicle weight and enhance fuel efficiency and technological advancement and product innovations in material, design, and aerodynamics are the factors that boost the market growth. In addition, increase in consumer spending on vehicle along with growth in population further enhances the market growth. Iochpe-Maxion, CITIC Dicastal Wheel Manufacturing, Hitachi Metals, Steel Strips Wheels, American Eagle Wheels, United Wheels Group, CLN Group, Borbet, Topy Industries Limited, and Accuride Corporation are the key players that have a significant revenue share in the global automotive wheel market.